Enjoy this excerpt from the self-study text: The Yellow Book Interpreted which qualifies for 15 hours of CPE. The GAO has a few things to say about a government auditor’s ethical responsibilities and, thus, added a large section on ethics to the 2007 revision of the Yellow Book. The same ethical principles appear in the 2017 exposure draft. GAGAS is a very high-minded document. And, in order to understand the GAO’s perspective on ethics, we need to talk about three themes of the Yellow Book that kick off the first chapter of the standards. These three themes — accountability, transparency, and service -­- put us in the right frame of mind when auditing in the government environment. What is accountability? I had heard the term tossed around the government so frequently that I never even thought about its meaning. Now I know that accountability does not mean that you got it right. It just means that you take ownership of it. I met a cowboy auditor in West Texas who said, “You might be right or you might be wrong, but you’d better the hell document it.” That sums up accountability quite nicely. When things go bad, you are there to say, “Yes, that was me. I’m sorry.” When things go well, you can keep your job. Recently on CNN, I saw a high school coach who was responsible for the death of one of his teenage football players. And instead of being contrite, he said something like, “Everyone is forgetting that I suffered a loss, too, and that I will hold on to this for the rest of my life.” That is not exactly what the parents of that boy wanted to hear. He deflected accountability and tried to engender empathy for himself. I doubt that will serve him well in his community. The GAO repeatedly reminds us that we are accountable to the taxpaying public for our actions and that we, as auditors, have a role in holding government leaders accountable. 1.01 The concept of accountability for use of public resources and government authority is key to our nation’s governing processes. 1.03 Government auditing is essential in providing accountability to legislators, oversight bodies, those charged with governance, and the public. Audits provide an independent, objective, nonpartisan assessment of the stewardship, performance, or cost of government policies, programs, or operations, depending upon the type and scope of the audit. One of the tough things about the GAO standards is they are not written for government officials (although government officials are mentioned a few times); they are written as standards for auditors. So, while we hold public officials and employees accountable for their actions, we are accountable for our actions, too. Actions and information that is transparent is open for everyone’s inspection and review. 1.05 Audits performed in accordance with GAGAS provide information used for oversight, accountability, transparency, and improvements of government programs and operations. GAGAS contains requirements and guidance to assist auditors in objectively acquiring and evaluating sufficient, appropriate evidence and reporting the results. When auditors perform their work in this manner and comply with GAGAS in reporting the results, their work can lead to improved government management, better decision making and oversight, effective and efficient operations, and accountability and transparency for resources and results. The state of Texas has put every single transaction online – LIVE— and rates the transparency of local government as well. I can, with a few clicks of the mouse, see that the Texas Department of Transportation bought a van, how much the van was, who they bought it from, why they need it, and what color of funds (general revenue, special revenue, enterprise revenues) paid for it. Why? Because citizens own the government, and we have a right to know. Google “windows on Texas state government” to start your own exploration. If you audit Hurst Construction, your ultimate audience for the audit report is Mr. Hurst, his board of directors, and the bank. But, if you audit a public housing project, your ultimate clients are not the managers of the project, the boards of directors, or the banks. Your ultimate beneficiaries of the report are not even the grantors. The ultimate beneficiaries of your work are the low-income children who live in the housing project. We have to remember, as governmental auditors, that we are checking to see whether tax dollars are being used for their intended purpose and whether the public is being served by our auditee’s efforts. 1.16 A distinguishing mark of an auditor is acceptance of responsibility to serve the public interest. This responsibility is critical when auditing in the government environment. GAGAS embodies the concept of accountability for public resources, which is fundamental to serving the public interest. We hold our clients to a higher standard of behavior than we do in the commercial sector. While it was OK for AIG to go on a lavish $500,000 spa junket before the US taxpayers bailed them out, it certainly was not OK after the bailout. Later, we will see that the GAO asks you to report even more bad behaviors than the AICPA does. If Mr. Hurst wants to put his jet-setting, never-worked-a-day-in–their-life kids on the payroll, more power to him. Auditors in the commercial realm do not have a responsibility to say anything about that. But in the government realm, we call that abuse, and we do have a responsibility to report it. We’ll discuss more about abuse later. Let’s discuss each one in turn. A city auditor once told me that he sees a higher purpose in his work. It is his job to make sure that the monies collected by the city are turned back to support those who need services and who may not have a voice in the government. He works on the citizens’ behalf, and because of this higher purpose, he doesn’t care whether he makes his auditees upset with his reports. Now that is integrity! 1.15 The public interest is defined as the collective well-being of the community of people and entities the auditors serve. Observing integrity, objectivity, and independence in discharging their professional responsibilities assists auditors in meeting the principle of serving the public interest and honoring the public trust. The principle of the public interest is fundamental to the responsibilities of auditors and critical in the government environment. In my business I transfer in and out of two worlds – the government world and the commercial world – and indeed they are different. An auditor from the GAO made the distinction between the two by saying that in the commercial world fortunes are made by doing what is not expressly prohibited; in the government world action won’t be taken unless it is expressly permitted. But government auditors must shine light in dark places in order to serve their customer, the public. And taxpayers get very, very upset if even a tiny bit of their hard-earned tax dollars are squandered. Not long ago, I was helping a government employee retirement system develop a training event. Afterwards, to celebrate our success, we all went out to a first-rate steakhouse in Dallas – you know the type, where you pay $45 for an à la carte steak. We had wine and appetizers, and one guy ordered a $35 brandy. I was very uncomfortable. I thought that if any of their members walked in and recognized them as the folks in charge of their retirement funds, the retirement system would have a lot of explaining to do. The retirees don’t want their money squandered on high living for government employees! If you work for a corporation, go ahead and enjoy the perks and the luxuries. But when you work for government, don’t be surprised if you can’t even get a cup of coffee! Many seasoned professionals have told me that they believe that auditor independence is an unattainable ideal; an external auditor’s independence is compromised when the auditee writes a check to pay the auditor’s fee and an internal auditor takes a salary from the entity they audit. They argue, that at best, an auditor can provide an objective viewpoint and maintain integrity by making sure that external pressures do not force them to cover up the truth. Later in this text, when we examine the GAO’s guidance for independence, the concepts of integrity and objectivity introduced here in the ethics chapter are raised again. Both the integrity and objectivity sections of the ethics chapter of the Yellow Book mention auditor independence and freedom from political or ideological bias. 1.18 … In discharging their professional responsibilities, auditors may encounter conflicting pressures from management of the audited entity, various levels of government, and other likely users. Auditors may also encounter pressures to inappropriately achieve personal or organizational gain. In resolving those conflicts and pressures, acting with integrity means that auditors place priority on their responsibilities to the public interest. A professor at UT Arlington teaches ethics and leadership to government leaders in Romania. He develops case studies for them to ponder each week. One case study asked the students to discuss the ethical dilemma posed when a mayor used city employees to build a brick barbecue pit in his backyard – clearly an improper use of government resources. The professor didn’t hear back from his students in Romania for a month. After several Skype conversations, the Romanians finally admitted that they just didn’t understand the ethical issue in the scenario. Using the labor of government employees for personal benefit is one of the perks of being a government leader in Romania! That professor has a lot of work to do! 1.20 Government information, resources, and positions are to be used for official purposes and not inappropriately for the auditor’s personal gain or in a manner contrary to law or detrimental to the legitimate interests of the audited entity or the audit organization. This concept includes the proper handling of sensitive or classified information or resources. 1.23 Misusing the position of an auditor for financial gain or other benefits violates an auditor’s fundamental responsibilities. An auditor’s credibility can be damaged by actions that could be perceived by an objective third party with knowledge of the relevant information as improperly benefiting an auditor’s personal financial interests or those of an immediate or close family member; a general partner; an organization for which the auditor serves as an officer, director, trustee, or employee; or an organization with which the auditor is negotiating concerning future employment. Any behavior that could cause someone to question your professionalism can detract from your credibility. And credibility helps sell audit recommendations. Consider the following true scenario (with a few small changes to protect identities): You are the internal audit director of a large city. You recently hired a new auditor fresh out of college and assigned him to conduct a performance audit of your city’s police department. Everything has been going well until last week when you saw a photo of him in the local newspaper at the city’s Mardi Gras celebration. He was pictured near the top of a street light without his shirt wearing dozens of bead necklaces. The police stood below and appeared to be yelling at him to come down. You show him the picture and he becomes immediately defensive and tells you that what he does on his own time is none of your business. He reasoned that he had some college buddies in town and it was natural for him to show them a good time. This standard on professional behavior does not mention that it applies only to an auditor’s work life. But does this auditor’s behavior during his personal time compromise his credibility with the police force? Yes, indeed! How is he going to face the officers during an exit conference? To maintain your shop’s professional image, you will probably have to remove this young auditor from the engagement and replace him with another auditor from your shop. Auditors are paid for our credible, objective, high integrity opinions and conclusions about an audit subject. And this young man blew all that away with his antics. 3.04 Auditors and audit organizations maintain independence so that their opinions, findings, conclusions, judgments, and recommendations will be impartial and viewed as impartial by reasonable and informed third parties. Auditors should avoid situations that could lead reasonable and informed third parties to conclude that the auditors are not independent and thus are not capable of exercising objective and impartial judgment on all issues associated with conducting the audit and reporting on the work. In our next chapter, we will address the types of audits covered by Yellow Book standards. Welcome! Yellowbook-CPE.com is where government auditors get their CPE! 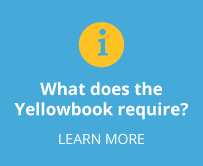 Yellowbook-CPE.com is registered with the National Association of State Boards of Accountancy (NASBA) as a high quality sponsor of continuing professional education courses. 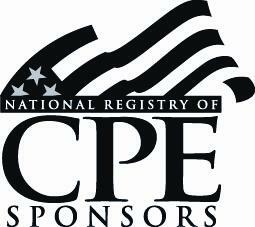 Yellowbook-CPE.com is registered with the National Association of State Boards of Accountancy (NASBA) as a sponsor of continuing professional education on the National Registry of CPE Sponsors. State boards of accountancy have final authority on the acceptance of individual courses for CPE credit. Complaints regarding registered sponsors may be submitted to the National Registry of CPE Sponsors through its website: www.learningmarket.org. 15% of the gross proceeds from every sale of self-study products goes to World Vision. 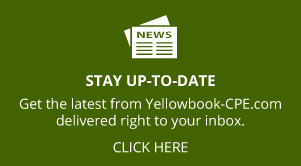 Sign up here to have the lastest from Yellowbook-CPE.com delivered right to your inbox. Just provide your name and email information below, and as an introductory “Thank You”, you’ll be able to view and download a free copy of our Audit Objectives whitepaper. If you opt in above we will not share or otherwise distribute your information. Having Problems Completing Your Purchase? For 1) Make sure you’re entering the correct *billing* address for your credit card. The large majority of visitors in this situation (presuming that their card is valid and has available purchasing dollars) find they’re not entering the correct billing address for that credit card. We don’t actually do any shipping and so don’t need your physical address – just make sure you enter the correct *billing* address for the card you’re trying to use. For 2) Try an alternative browser (Firefox or Chrome) or a computer with a different browser setup to make your purchase. When you’re ready to register, select the “Register Now” button (at the top-right or bottom-left of this page). After checking out, look for your notification and registration info via email – and mark your calendar to attend the webinar! 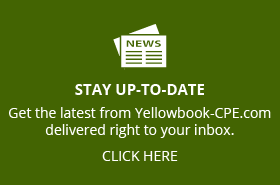 Sign up here to have the latest from Yellowbook-CPE.com delivered right to your inbox. Yellowbook-CPE is registered with the National Association of State Boards of Accountancy (NASBA) as a sponsor of continuing professional education on the National Registry of CPE Sponsors. State boards of accountancy have final authority on the acceptance of individual courses for CPE credit. Complaints regarding registered sponsors may be submitted to the National Registry of CPE Sponsors through its website: www.learningmarket.org.